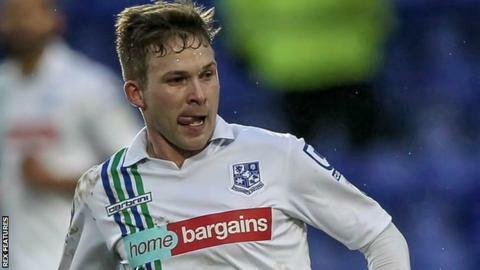 Tranmere Rovers midfielder Jay Harris has signed a new two-year contract with the National League side. Harris joined the Merseyside club from Wrexham last summer and has scored three goals in his 39 appearances. The former Everton trainee previously had spells at Chester and Accrington before his move to Prenton Park. "Hopefully we can go up this season and then look to do the same again next year," the 28-year-old told the club's website.